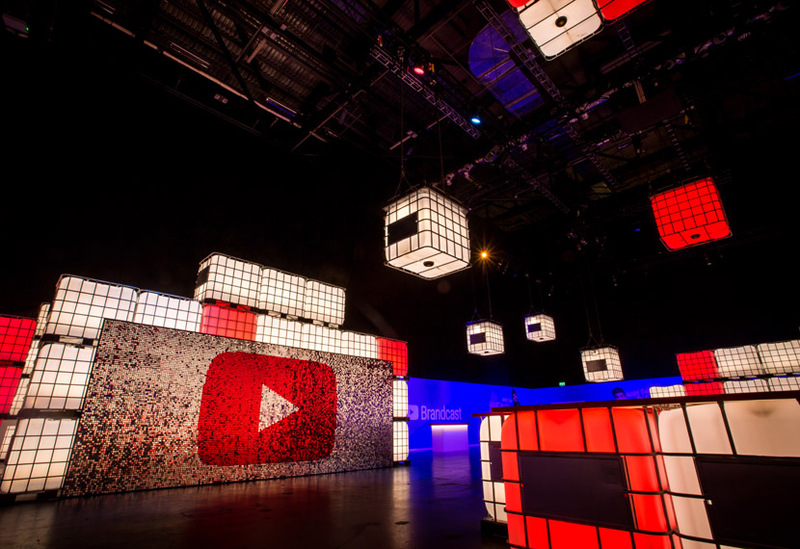 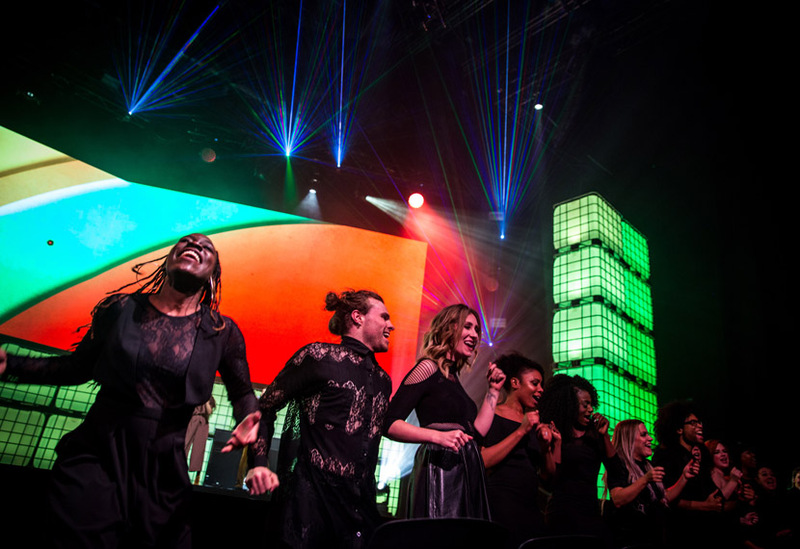 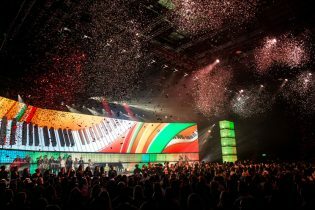 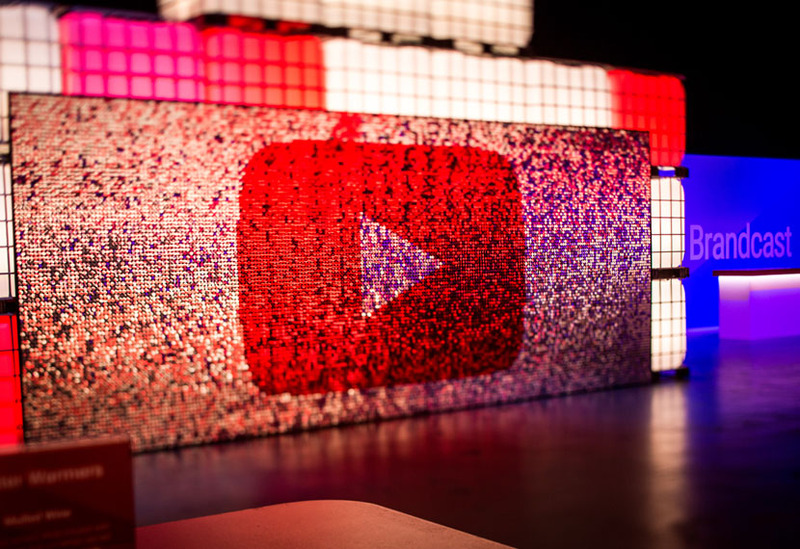 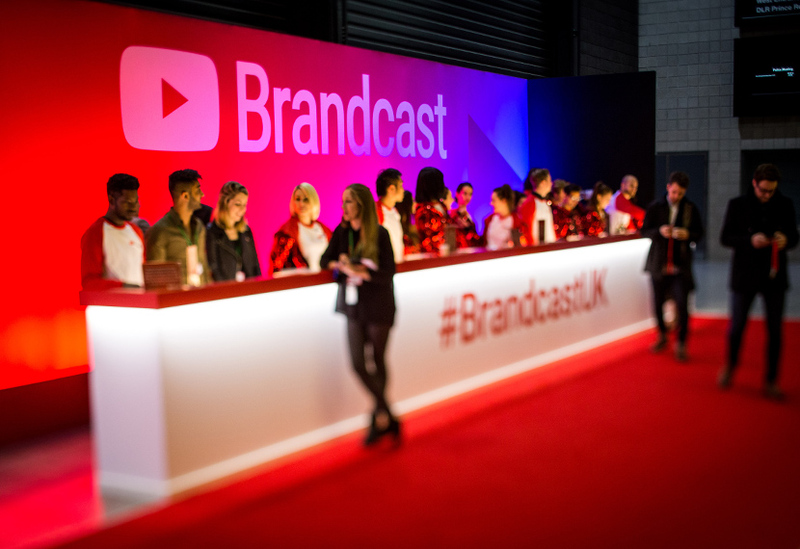 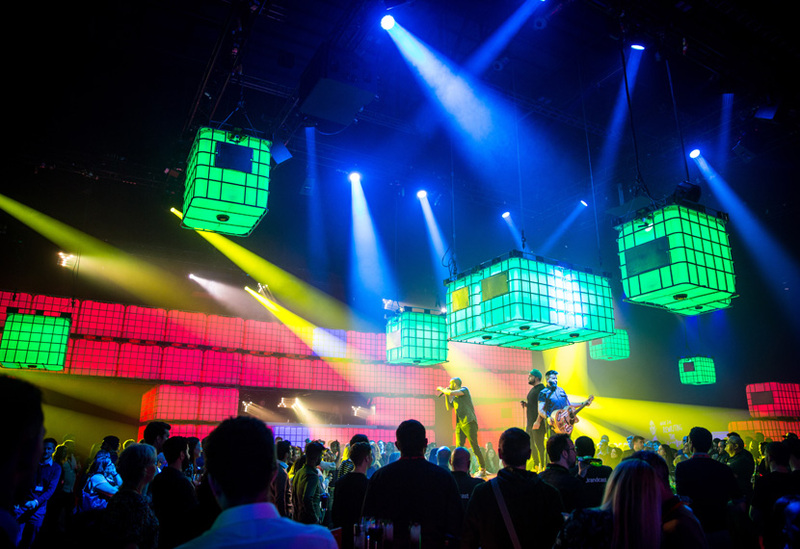 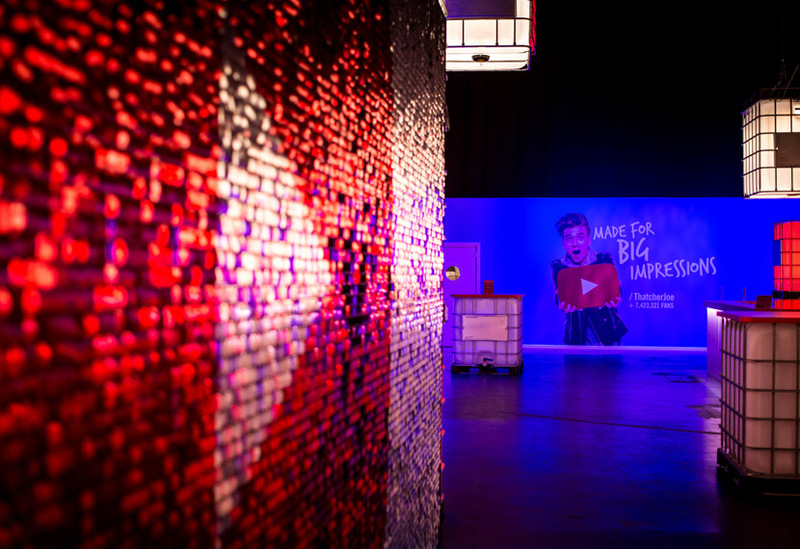 We created a series of different zones and stages for this exciting and high-profile event that brings together YouTube innovators, creatives, specially invited guests and star-turn performers that this year included James Corden and Rick Astley. 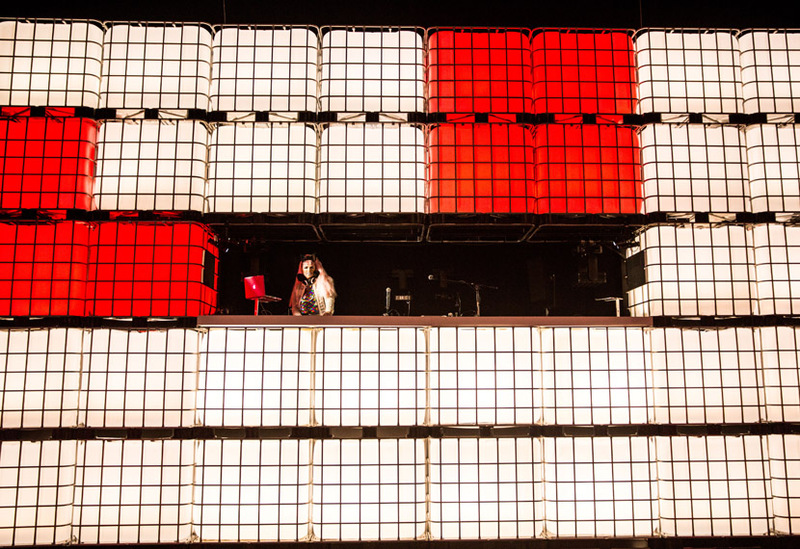 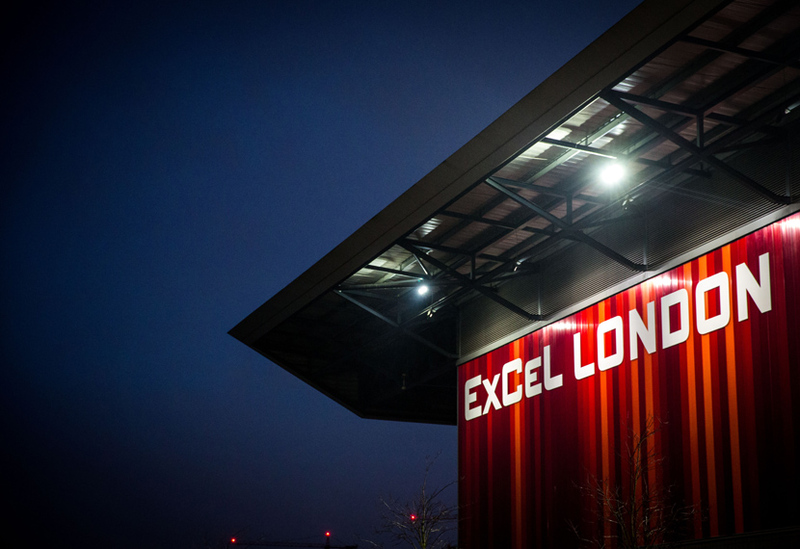 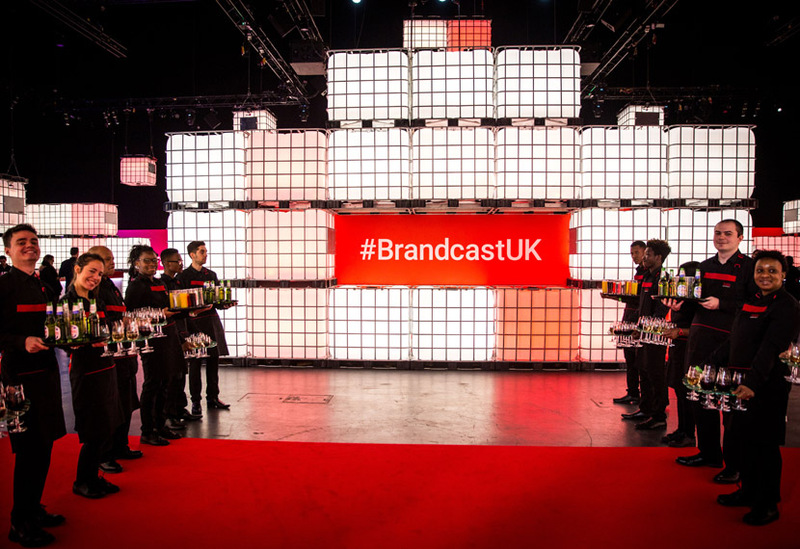 We used over 300 IBC’s as basic construction units, dividing the space and creating additional features such as an entrance tunnel, DJ booth, towers and a wall mounted on the main stage. 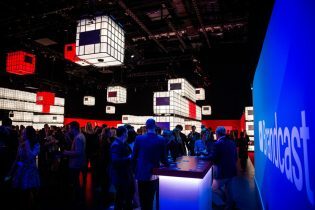 The IBC’s were internally lit, helping to create a dynamic, party environment. 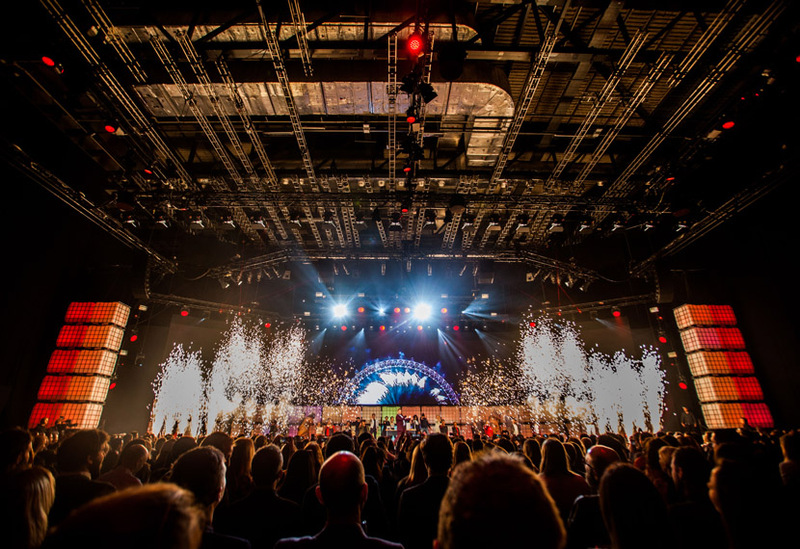 The 40m by 14m Main Stage set incorporated two 6m revolves from our existing hire stock and a 7m revolve from our brand new technical hire stock, recently manufactured with increased speed and load bearing capability. 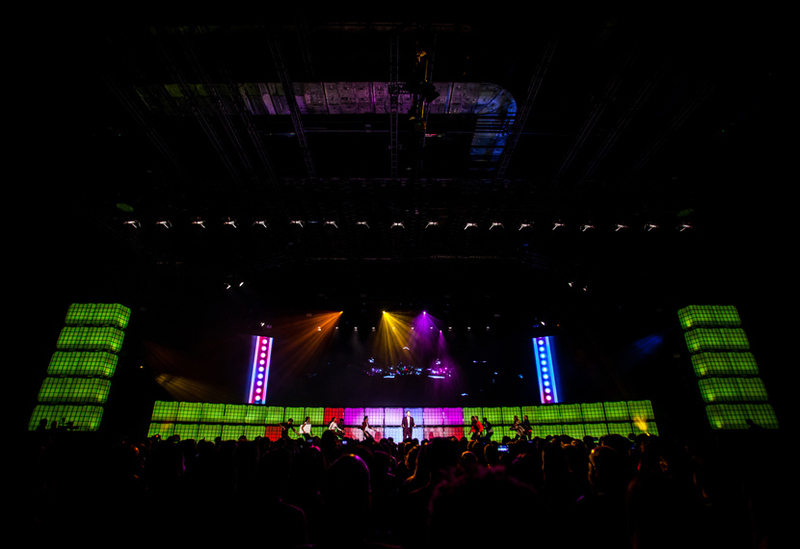 A scenic wall of IBCs was fixed to the stage, with IBC towers to each side. 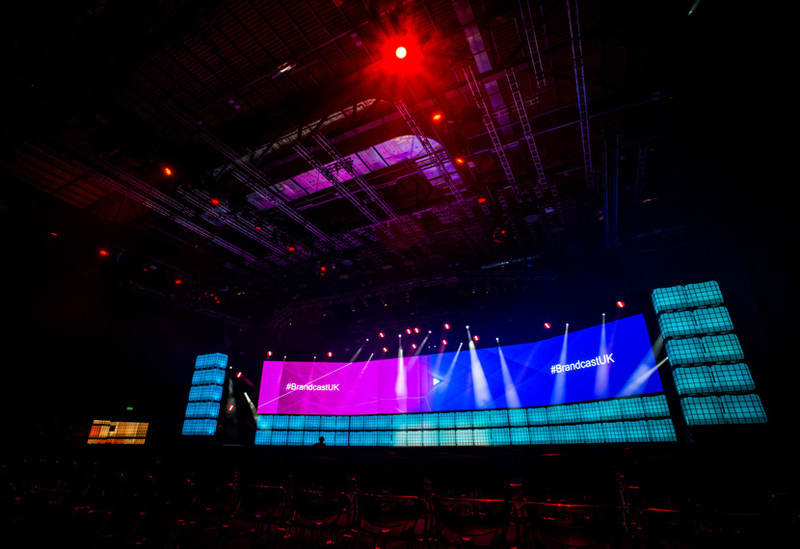 In the Reception and Party Area, we created walls with large format digital prints, the longest covering 22m of wall, and provided numerous other features including a shimmer wall, raised DJ booth, band stage, desks, bar units and table tops.